A jury declared on Thursday that Dylann Roof is guilty on more than 30 counts related to the Charleston, South Carolina, church shooting that took place in June 2015. Roof, who had admitted to the killings, is now facing life in prison at the minimum considering the amount and severity of the crimes of which he's been convicted, but will he get the death penalty? Several of the charges carry that as a maximum sentence, so it's certainly a distinct possibility. According to New York Times reporter Alan Blinder, who live tweeted the reading of the verdict, Roof was found guilty of all 33 federal counts against him. Those crimes ranged from use of a firearm to commit murder during and in relation to a violent crime, which carries with it a maximum sentence of death, to a hate crime act resulting in a death, which carries with it a maximum sentence of life in prison. The charges also included obstruction of exercise of religion resulting in death and three counts of hate crimes involving an attempt to kill, as there were three people who survived the shooting. The sentencing phase will begin on Jan. 3, Blinder reported. That's when Roof's fate — whether or not he will be sentenced to death — will be decided. Roof, who is white, killed nine black parishioners who were worshiping in the Emanuel African Methodist Episcopal Church in Charleston. The names and lives of the people who died in what they likely believed was one of the safest places must be remembered. They were: Rev. Clementa Pinckney, Cynthia Hurd, Sharonda Coleman-Singleton, Tywanza Sanders, Myra Thompson, Ethel Lee Lance, Susie Jackson, Daniel L. Simmons, and Depayne Middleton Doctor. 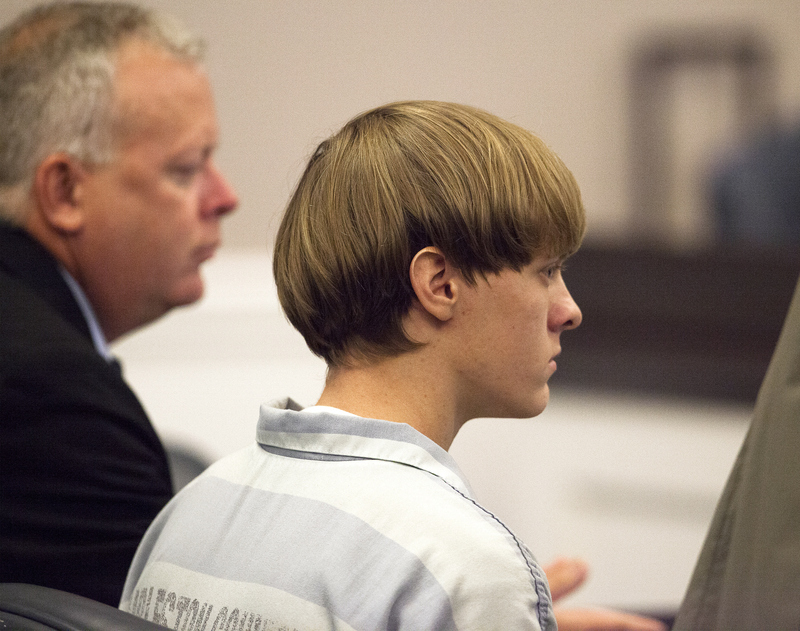 This federal trial regarding Roof's crimes was widely expected to result in a guilty verdict. But a death sentence isn't as clear cut. Roof could instead face life in prison, which is a strong possibility, as the state of his mental health has been called into question. However, the New York Times reported that the Justice Department is pushing for the death penalty, especially as Roof is a self-described white supremacist who "expressed hatred and contempt toward African-Americans," a court filing read. Roof reportedly stared straight ahead without emotion during most of his trial, but the sentencing phase will likely be very different. Roof has said he will represent himself during that part of the trial.